Apple iPod Nano 4th Generation 8gb in Black. The iPod is currently full of albums from the 'Now.' music series, There's Now.music 51 through to the recently released Now. 102, plus this years Now 100 80's Hits & Now 100 Power Ballads etc. IPod nano 3rd generation -> Very Good Condition ( may present minor scuffs or scratches ). You will receive the item wrapped in a bubble plastic bag, in a plain unprinted box ! For sale is an ipod 1st generation 5gb. no leads or other accessories included just the ipod itself. Screen Response is Good, All Buttons Work As They Should, Battery Life is Good, Screen response is Great. Bluetooth Connection To Headphones Or External Speakers. A1373, 2GB. Data Wiped and Factory Reset. Refurbished to the Highest Standard. 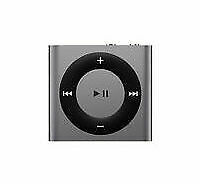 Apple iPod Shuffle 6th Generation 8gb A1366 Grey Same day Post. Condition is Used. Dispatched with Royal Mail 1st Class. Apple ear buds (lightning connector). - Apple USB cable (lightning connector). Only £88.97- Grab It NOW Before It's Gone! Our prices often drop! This is the second generation A1288 release. The screen is in reasonably good condition with the odd very light surface mark and indeed the touchscreen functions as it should. I have imported music onto it and it plays it fine - no issues with the headphone jack.The back silver cover is not over worn and all of the small specifications can be made out. Screen Response is Good, All Buttons Work As They Should, Battery Life is Good. Very good Condition - Check The Photos. Apple iPod Nano 6. Th Generation 8GB Green. 1 x Apple iPod Nano 6. th Generation 8GB Green. You can expect to get around four hours plus from using the ipod normally. 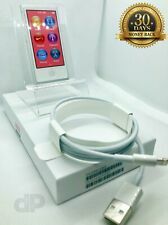 IPod 10GB Box, 1st generation. This is box only. 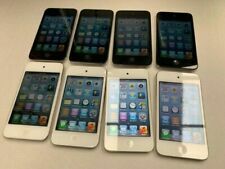 Apple iPod Touch 4th Generation. Condition is Used. 8gb. Fully working.